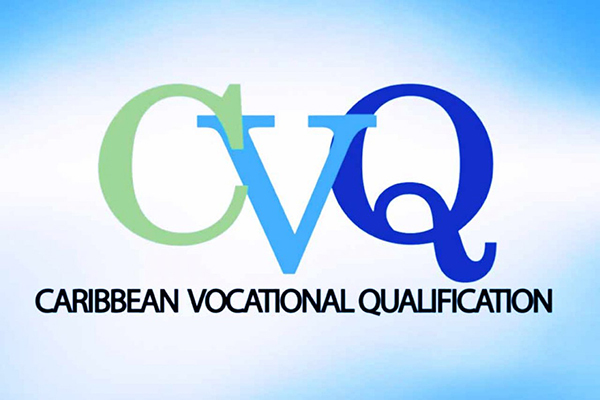 The Caribbean Vocational Qualification (CVQ) is an award that represents the achievement of a set of competencies that define the core work practices of an occupational area, consistent with the levels articulated within the Regional Qualifications Framework. CVQs are awarded to candidates that demonstrate job-related competencies based on the Regional Occupational Standards. CVQs can be achieved at your job through the workplace competence certification route. CVQs can also be obtained at training providers such as schools and technical institutes or through community-based programmes that have successfully used workplace activities in accordance with the NTA’s policies related to certification. The Grenada National Training Agency (GNTA) as empowered by the GCTVET Act of 2009 is the agency mandated to co-ordinate, facilitate and enable the development and growth of Technical and Vocational Education and Training in Grenada Carriacou and Petite Martinique. The Agency through modes of training intervention intends to help in ensuring that there exists a supply of trained and skilled workers to service labour market needs and thereby contribute to higher levels of productivity in the Grenadian economy. The organization by way of policy seeks to have developed and approved occupational standards derived from industry specifications and to guide the training, assessment and certification within the Grenada TVET System. The Grenada Council for Technical Vocational Education and Training (GCTVET) created by an ACT of parliament in 2009 is empowered to approve standards for the award certification leading to Caribbean Vocational Qualification (CVQ’s) and National Vocational Qualification (NVQ’s). The GNTA has established industry lead groups responsible for vetting standards as well as specifying and recommending standards to be approved. The National Training Agency (NTA) is based in Grenada. Its mission is to ‘enhance the employability of Grenada’s workforce’. The NTA provides CVQ and NVQ certification to candidates from Approved Training Centres. The New Life Organization (NEWLO) is an approved Training Centre that undertakes training in NVQ/CVQ. Each Department approved to deliver NVQ/CVQ will follow the NTA’s approved occupational standards for instructions. NEWLO will inform the NTA at the start of the training so that proper and timely arrangements will be made for Assessors and Verifiers. Trainees who complete all the CVQ/NCQ requirements will be assessed following the NTA’s procedures. The NTA will issue CVQ/NVQ certificates of successful candidates to NEWLO from where they are distributed to the candidates. NEWLO works very closely with the NTA to provide our Trainees with nationally and regionally recognized certification/qualification which they need to be competent in the world of work. After the completion of the Life Skills component of the training at ADP, the Trainees are placed in the NVQ/CVQ Departments. Trainees are prepared both theoretically and practically based on the NTA approved Occupational Standards at a level that is commensurate with the abilities of the Trainees and the qualification of the Instructors. A request for Assessment is made by the Executive Director to the Quality Assurance Officer of the NTA at least two weeks before the proposed assessment date. Trainees are registered with the NTA using the NTA certification registration form. Assessors are contracted according to the prescribed requirements. Assessment is conducted and where possible feedback is given to the candidates at once. Completed assessment documents and supporting evidence are returned to the NEWLO Internal Verifier who will check for accuracy, prepare documents and forward assessment documents and supporting evidence to the NTA’s Quality Assurance Officer. After the NTA’s external verification processes and approval, the NTA send the NVQ/CVQ certificates to NEWLO. Candidates will collect their certificates from Skills Coordinator at NEWLO.